This action took place in the Baltic Sea between Russian and German units as part of Operation Albion, an amphibious German operation. It is also called “battle of moon island” by the Anglo-Saxons. Most of the engagement was held on the 17th in the narrow passage of Muhu Island (“The Moon”) indeed. The German fleet was headed by Vizeadmiral Ehrhard Schmidt under orders of Admiral Behncke. Opposing Russian forces were commanded by Admiral Mikhail Bakhirev, dominated about at a 1/4 ratio, but compensated by the presence of British submarines. 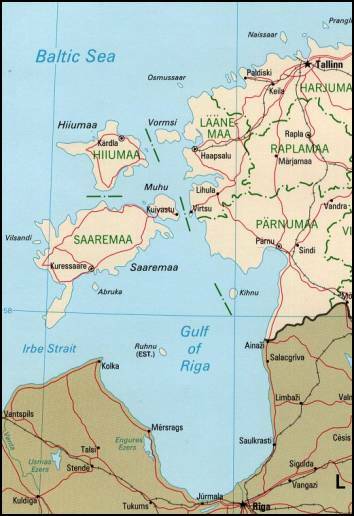 The idea of ​​the Germans, landing at the islands of Vormi (Worms), Hiiumaa (Dago), Muhu (Moon) and Saarema (Osel), was to install batteries threatening the exit of Russian ships present in Riga. But the Russians themselves had installed coastal batteries to prevent entry into the Gulf, including Ozel, on the southern tip of Zerel. For this operation, the German navy gathered its largest force ever deployed for an operation in the Baltic: 10 dreadnought battleships taken from the Hochseeflotte, cruisers, destroyers, mine layers and several squadrons of seaplanes for reconnaissance. 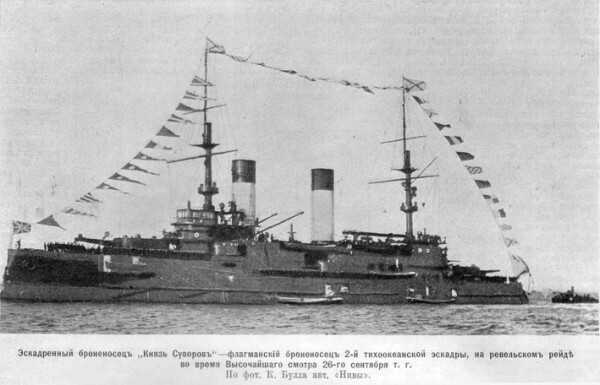 In Riga, Russian forces included two pre-dreadnoughts (Slava and Grazdanin, ex-Tsessarevich – renamed with the recent revolution), assisted by cruisers, destroyers, and three British submersibles. On the 12th of October, the German squadron arrived off the island of Osel, then entered the Straits of Irben, German battleships pounding batteries of the point of Zerel. The second objective was to enter the gulf and landing troops in order to take the city and port of Arensburg. 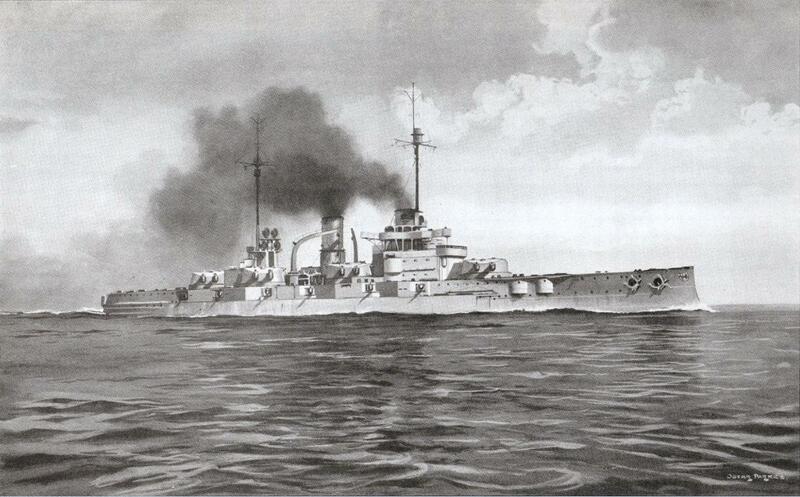 But very soon, battleships SMS Grosser Kurfurst and Bayern hit mines, but survived, while German light forces skirmished with opposite Russian light forces in the narrow passage between the islands of Dago and Osel. On the 14th, troops that had landed in the south had overtaken Russian Infantry stationed at the tip of Zerel and effectively seized the island. But to the north, on moon island, the fleet sent reinforcements of several battleships to support its light forces. During the confrontation, the Russian destroyer Grom was sent from the bottom, but Russian troops remained masters of the Island. On the 15th, Zerel’s batteries, which controlled the strait, were taken by German troops, allowing the minesweepers to clear the fields protecting the passage to the gulf. On the 16th, the cleaning work had been done and the German fleet was entering the gulf in full strenght, including 31 TBs. The same day, Lt. Sealy’s submarine fired two torpedoes at two German ships but missed but two further torpedoes struck their targets. Other attempts failed however. This same day the German minesweeper T46 was sunk, as was the destroyer V99. 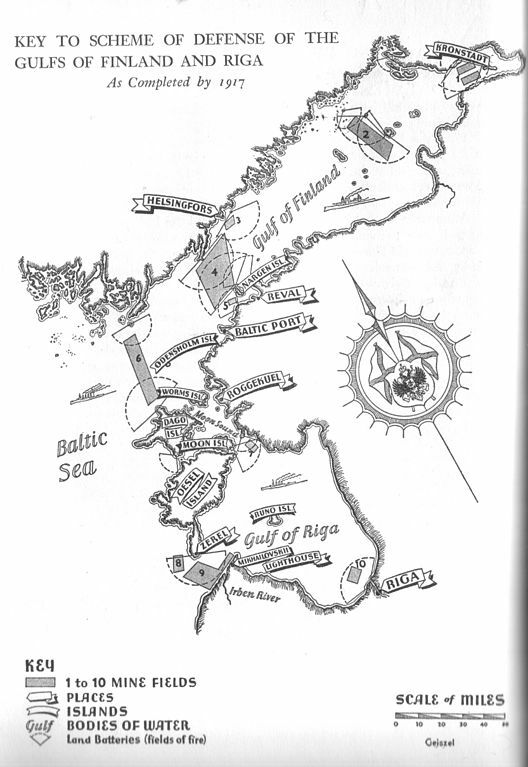 On the 17th, they arrived in sight of the south of Muhu island and a battle started with the bulk of the Russian forces withdrawing from the Gulf, massing by the strait between the continent and Moon island. Russian battleship Slava was only hit three times, but one provoked a water surge, enough to give the ship such a draught that she was unable to manage to get back to safety and was scuttled. This was the only major loss of the battle. 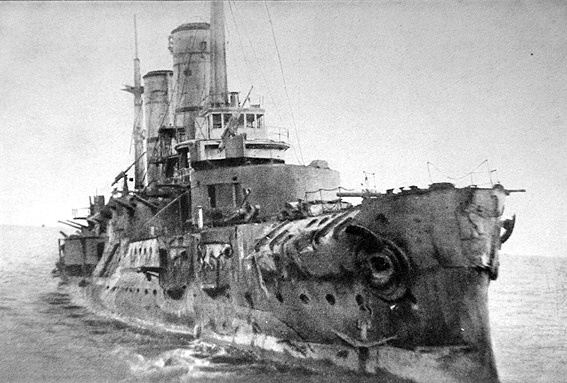 An uneven artillery duel took place in which Slava and Grazhdanin were severely damaged by König and Kronprinz, as well as the armoured cruiser Bayan, knocked out by König. The Slava iwas hit three times, and this prompted her withdrawal after three days. But due to the added water her draught made her scrap the bottom, and shallow channel made it impossible to escape back. She was in the end, scuttled by her own crew to avoid capture between the Moon Sound Strait between the island of Muhu and the mainland, and had the coup de grâce delivered by torpedoes of a destroyer. The remaining Russian forces retreated to the north, evacuating also the troops still present at moon island, not without laying minefields in the process, on which the Hochseetorpedoboote S64 will be blown up shortly after midnight the 17/18th. On the following daylight, a landing at Dago quickly won the decision, then the Russian forces retreated to Worms on the 19th, and then headed back for the Gulf of Finland. Russian minefields were ultimtely cleared, the flotilla entering the gulf the same day. But reports of Allied submarines in the area prompted a German withdrawal on the 20th. The three British submarines had a desired dissuasion effect. The battle saw losses on both sides: 2 torpedo boats, many ships damaged by mines on the German side and 1 pre-dreadnought, 1 destroyer, 1 submarine on the Russian one. It was a blow for the Russian Navy, not able to prevent the fall of the City of Riga. Strategically the Operation Albion ended on 20 October 1917 as a success for the Germans, as they captured 20,130 men, 141 Guns (47 heavy) and 130 Machine guns, hampered the Russian navy there, shot down 40 aircrafts with relatively light losses. Map of the defenses in the gulf of Finland at the time of the first battle of Riga gulf (August 1915). -The British submarines there, C 27 (Lt. Sealy) and C 32 (Lt. Satow) were present since a while, as part of the allied efforts in the Baltic: E-class submarines arrived in August 1915, but HMS E13 was stranded in The Sound near Saltholm and destroyed in the process of going through the Denmark strait. But HMS E18 and E19 arrived at Reval and soon started operations. HMS E1 E8, E9, and E19 would be scuttled outside Helsinki in 1918 to prevent capture. Four C-class submarines were alsp sent in 1915 but this time through the North Cape to Archangelsk and taken by barge to Kronstadt. One was stranded in October 1917; the three others scuttled outside Helsinki in 1918. 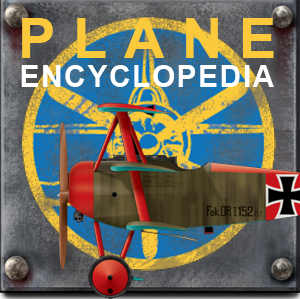 The crews of these had a quite adventurous fate, being evacuated by Soviet ships to Petrograd and by rail to Murmansk, joining the Allied intervention forces in North Russia. They fought here as part of a sizeable international expeditionary force but withdrawn from April 1919. -There has been three “battles of Riga”. The first ocurred in 1915, and another in 1919, during the Latvian War of Independence. 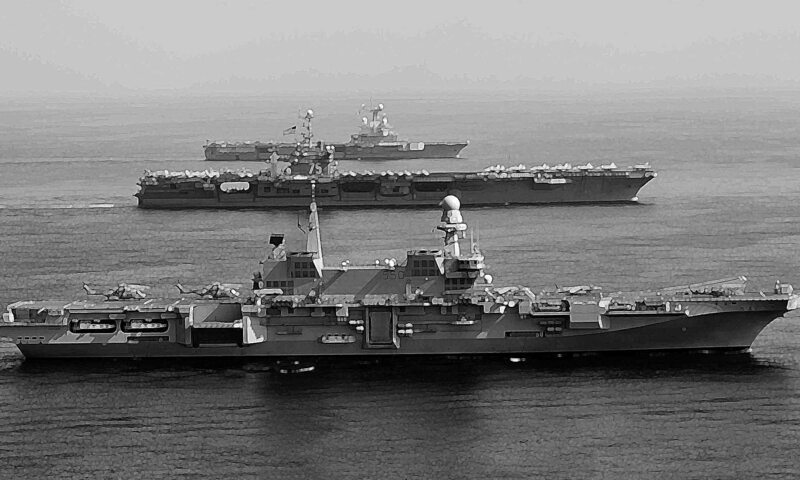 -The main naval battle during these operations ocurred the 17th and is known as the “Battle of Moon Sound”. 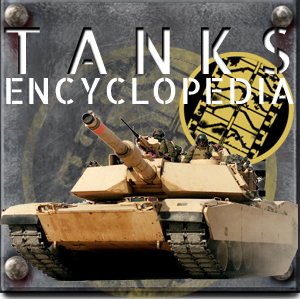 -The Russian battle strategy was changed on 17 October due to a mistake made in the transfer of an order. 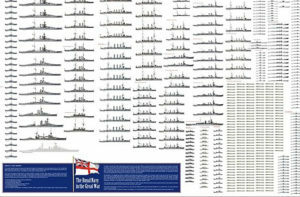 -German battlecruisers remained in the Baltic in the previous operation in August 1915, providing cover until SMS Moltke was torpedoed by HMS E1 but had luck, as the impact did not detonated its bow torpedo room and she was repaired at Blohm and Voss in about a month, between 23 August and 20 September 1915. 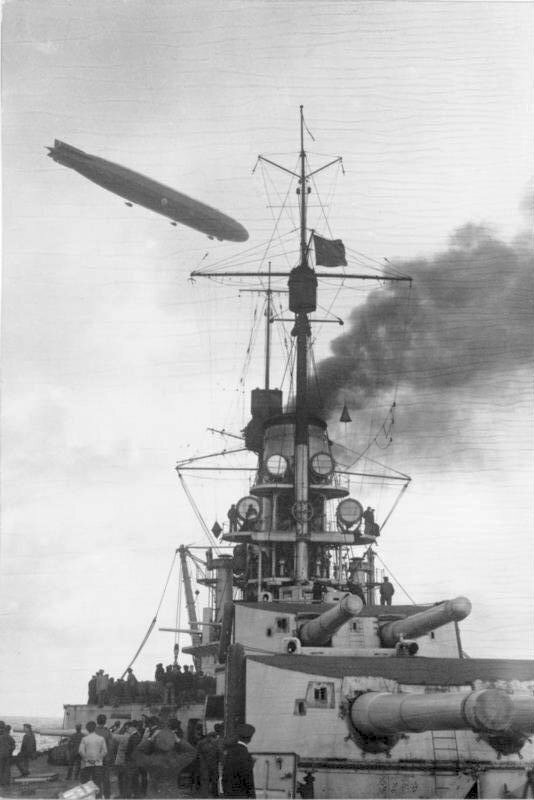 German battleship Grosser Kurfürst during Operation Albion off the Osel island, in October 1917 watch over by Schütte-Lanz S.L.20, a Type ‘f’ airship. 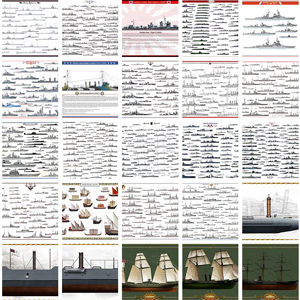 Not all were buit by Zeppelin.